Ara bring us 1231302/05 SARDINIA. These ladies pumps are the ideal addition to your summer wardrobe. The taupe suede upper has been enhanced by the chain detailing over the toes. Fringing with rhinestones on the tips adds another dimension to these ladies shoes, giving them an eye-catching finish. An elasticated topline ensures a secure and comfortable fit from these ladies pumps. Ara have also used their cushioned insoles with gel pads and memory functions to increase the fantastic comfort levels of these pumps. The low block heel adds a lift to these ladies pumps while allowing the cushioned insole to cater to your every comfort. 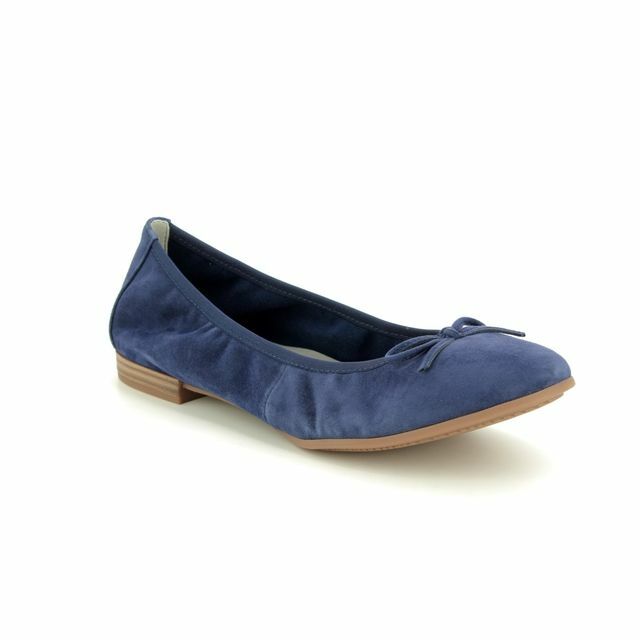 Also available in navy, these ladies pumps are a superb addition to your summer wardrobe. Buy your Ara ladies pumps from Begg Shoes, an official Ara stockist.